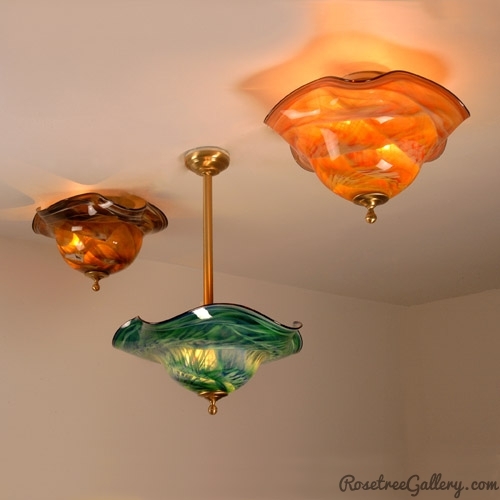 Hand blown glass shade of flowing shape, balanced on a cast metal base in antique bronze. Maximum wattage is 75 watts. Metal base included. Standard medium socket. We recommend CFL or LED bulbs for better energy use and less heat. Amethyst/Green, Blue/Green, Red/Yellow, Amber/Amber, Blue/ Rainbow, Red/ Hot Mix, Cool Mix/ Green, Amber/ Yellow, Yellow/ Blue Mix. 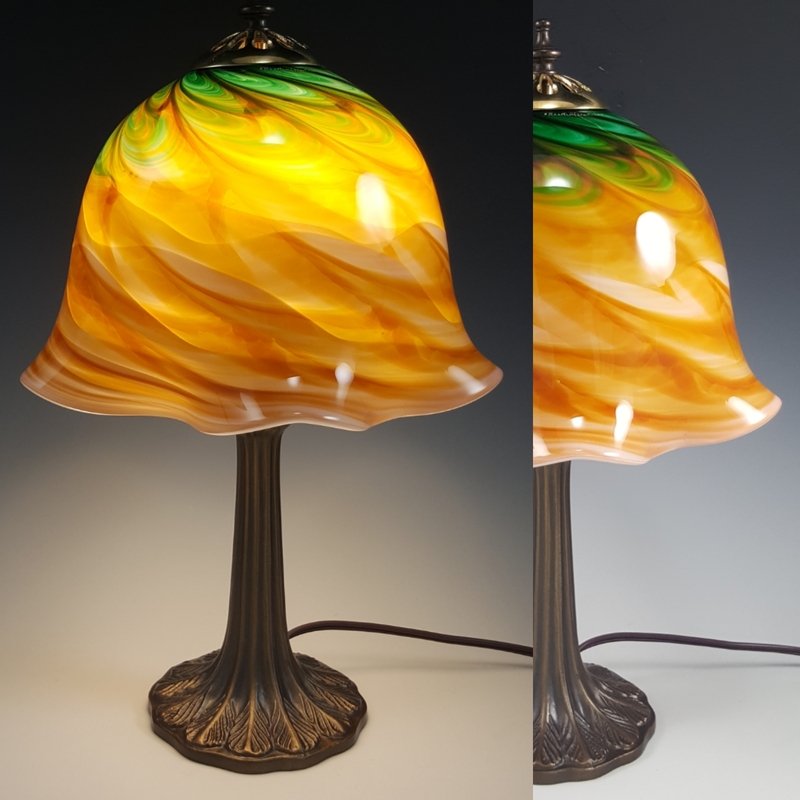 Are you a brick and mortar store looking to sell blown glass? 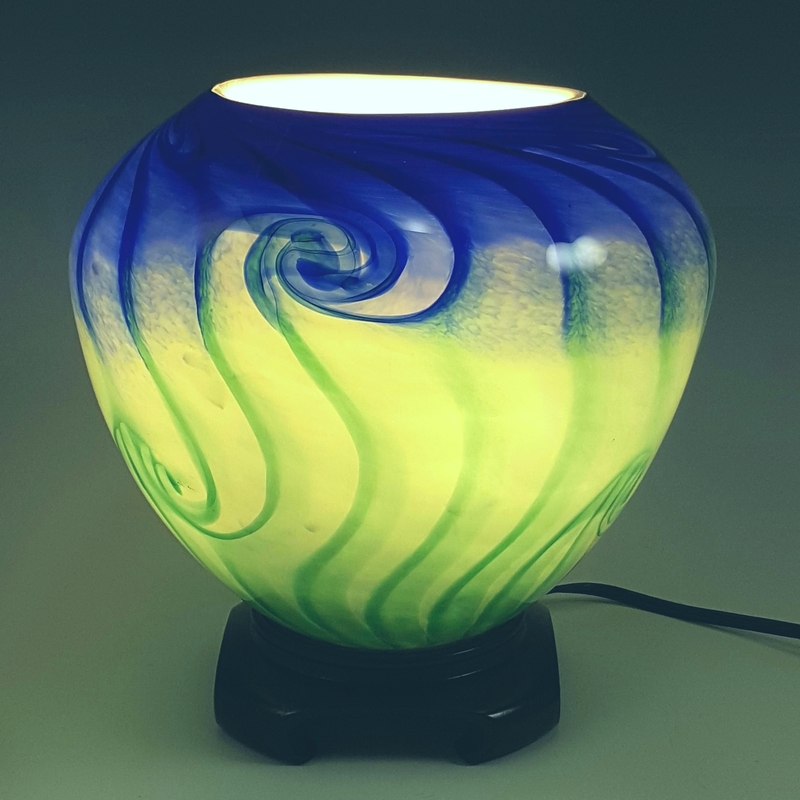 Become a Rosetree Glass Retailer with exclusive access to wholesale pricing. Are you logged in but can’t see pricing?? Please refresh the page to see pricing.